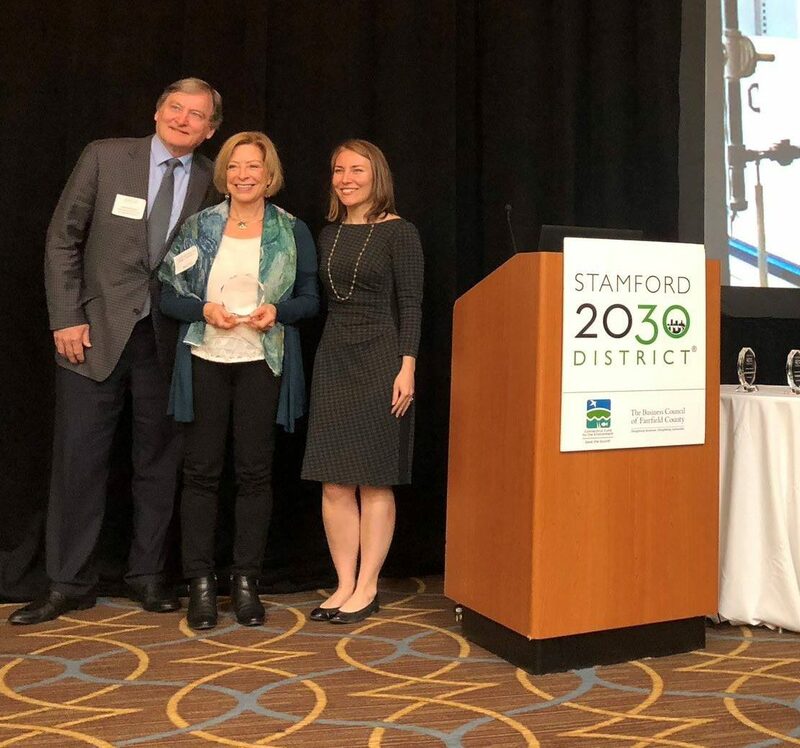 Congratulations to Cathleen Miller for winning the 2030 Districts Award for her work on the Martin Luther King, Jr., Apartments Energy Project. Martin Luther King, Jr. Apartments is a 13-story masonry tower of 89 one, two, and three-bedroom affordable apartment units constructed in 1972. Two existing cast iron boilers were replaced with five condensing boilers with operating efficiencies of up to 99%, and a natural gas-fired 75kW Combined Heat and Power unit (“CHP” or “cogen”), capable of generating 523,000 BTUs of heat per hour and 75kW of electricity, resulting in an annual utility budget reduction of 25%.